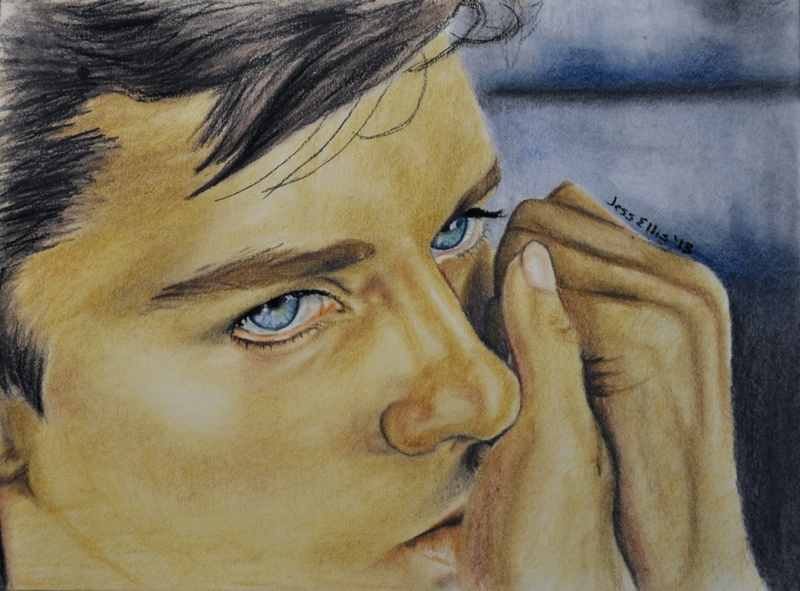 Alain Delon Pastel 9x12 I love Alain Delon. No one else can act so convincingly simply with their eyes. He could be given a role with no dialogue at all (pretty much like his roll in "Le Samouraï") and give an incredibly dramatic performance. I wanted to draw those stunning eyes and my first attempt was this pastel portrait of a scene from "Plein Soleil." That film is one of the few early colour films of his and the blue of his eyes is absolutely incredible against the Mediterranean backdrop of the setting.